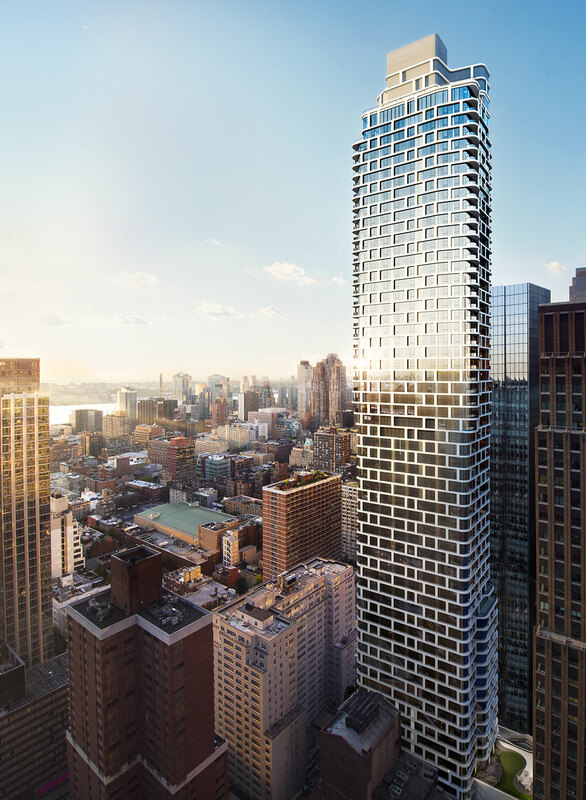 Experience Manhattan living through a prism of light and air at ARO, extraordinary rental residences conceived with innovative design, exquisite finishes and exceptional amenities that make it an inviting place to call home. 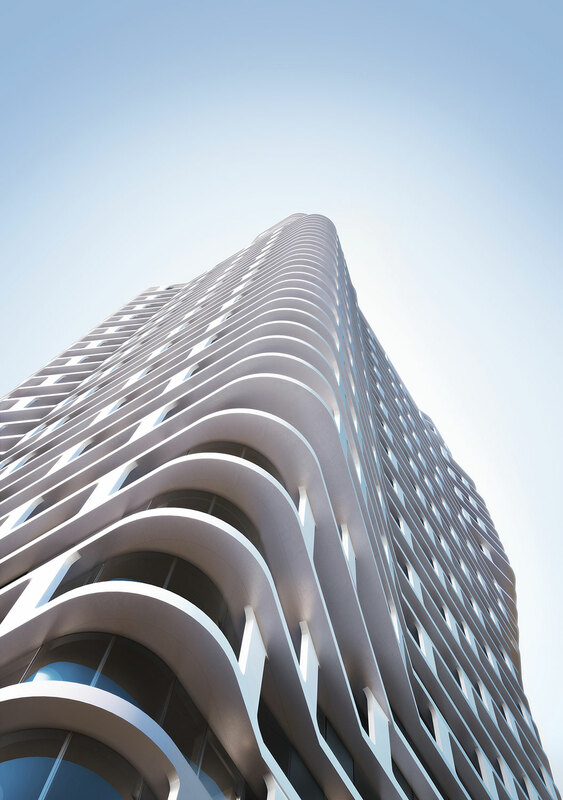 Reinterpreting an iconic Manhattan skyscraper, its curved form maximizes inspiring and dramatic views that take advantage of these no-fee luxury apartments’ central location in Midtown Manhattan. 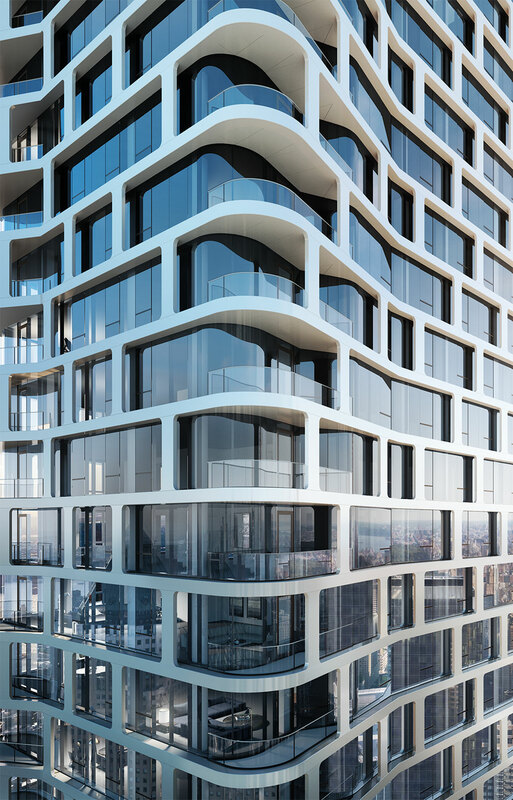 Rising over 60 stories, ARO’s striking form features a sculptural cantilevered design of fluid twists and curves. The award-winning architecture by CetraRuddy accentuates transparency and light, with floor-to-ceiling windows that offer sweeping views. 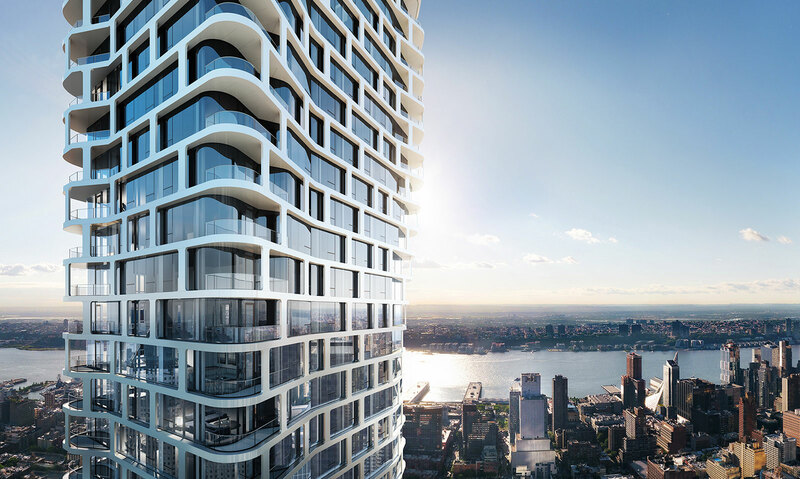 The curved glass tower responds to its surroundings with a distinctive white metal grid that frames the surface of glass and transforms the Midtown West apartment into a beacon in the Manhattan skyline. Style meets substance with hand-selected materials and finishes, the convenience of a 24-hour doorman and concierge, and an unparalleled 40,000 square feet of luxury indoor and outdoor amenities.